- Latvia’s negative fiscal space has widened from the previously projected minus EUR 34 mln to minus EUR 44.5 mln after the government on Tuesday decided to continue a number of activities in 2019, Finance Minister Janis Reirs (New Unity) told journalists LETA. 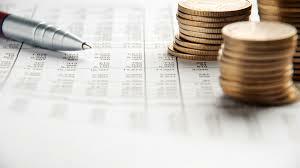 Previously, the Finance Ministry informed that in 2019 and the two following two years, the general government budget balance, provided that the budget policy does not change and together with the fiscal safety reserve, will be less than the permissible balance. That means that the fiscal space will be negative. In 2019, it is estimated at minus EUR 34 mln. On Tuesday, the Cabinet of Ministers approved the Finance Ministry’s proposal to plan a fiscal reserve of 0.1 percent of GDP for this and two following years, which would be EUR 31 mln, according to previous estimates. The government also approved the continuation of several costly activities, which will increase the negative fiscal space to EUR 44.5 mln. It was decided to allocate EUR 7.6 mln for combating financial crime, EUR 1.5 mln for the promotion of remigration, EUR 2 mln to support the diaspora and EUR 200,000 for the further publication of KGB files. Reirs indicated that in order to prevent the budget deficit from expanding beyond the permissible limit, the shortfall would be partly financing with revenue from combating shadow economy. The Finance Ministry is negotiating this scenario with the European Commission. “Experience shows that when the shadow economy is reduced by one percentage point a year, budget revenue increases by EUR 60-70 mln,” the finance minister said, adding that more financing could be provided also by revising expenditure. Reirs underlined that the government is not considering tax hikes to reduce the negative fiscal space. Prime Minister Krisjanis Karins (New Unity) also said that there are no plans to reduce the negative fiscal space by raising taxes. The prime minister is confident that the Finance Ministry will find a way to compensate for the negative fiscal space. At a Cabinet meeting on February 8, the government is expected the set the maximum size of budget expenditure for 2019. After that, the government will be working for two weeks on the final version of Latvia’s 2019 budget.